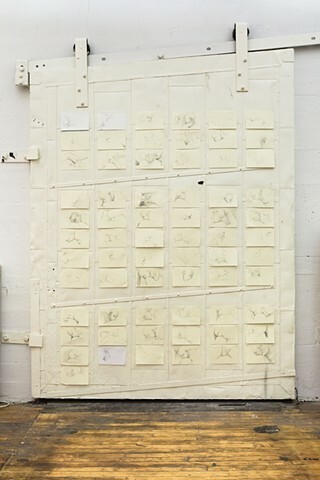 I installed my growing collection of drawings for the first time in an open studio in 2014 during my residency at Triangle Arts in Brooklyn, NY. The building, at 20 Jay Street, was a factory that at one time manufactured the (now famous) Brillo boxes. Drawings are held to the door by tiny magnets in the upper corners.